PlayerUnknown’s Battlegrounds will see the return of map selection along with a rank system, improved anti-cheat, and grenade wheels in today’s big update. Some of those features have been a long time coming – perhaps too long, in a few cases – but they all go live following a few hours of downtime later tonight. Downtime will begin at 17:30 PDT / 20:00 EDT on October 2, or at 1:00 BST on the morning of October 3. Downtime is expected to last for about five hours, after which you’ll have full access to the new features in the game client. You can see full details on everything in the patch notes, but read on for the highlights. 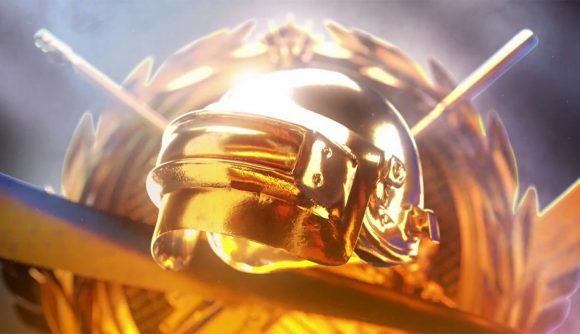 One of the biggest changes is the new rank system, which places you in one of eight ranks – from bronze to grandmaster – based on rank points earned. Your first placement will be determined by the results of 10 provisional matches, with further promotions or demotions to be decided by your points total. A new anti-cheat system is also being implemented “in addition to our existing anti-cheat solutions.” The new tech will be opt-in for now – you’ll get a pop-up next time you log-in asking if you want to use it – but after any issues are worked out, it’ll be a permanent addition to the game. Proper region locks will also be in place following this update, as the game will decide on local servers automatically based on your region. There’s new UI offering quick, wheel-based access to throwables, healing items, and emotes. Perhaps most importantly, map selection is back – meaning if you don’t want to play Miramar, you don’t have to. Here’s hoping the feature sticks this time.